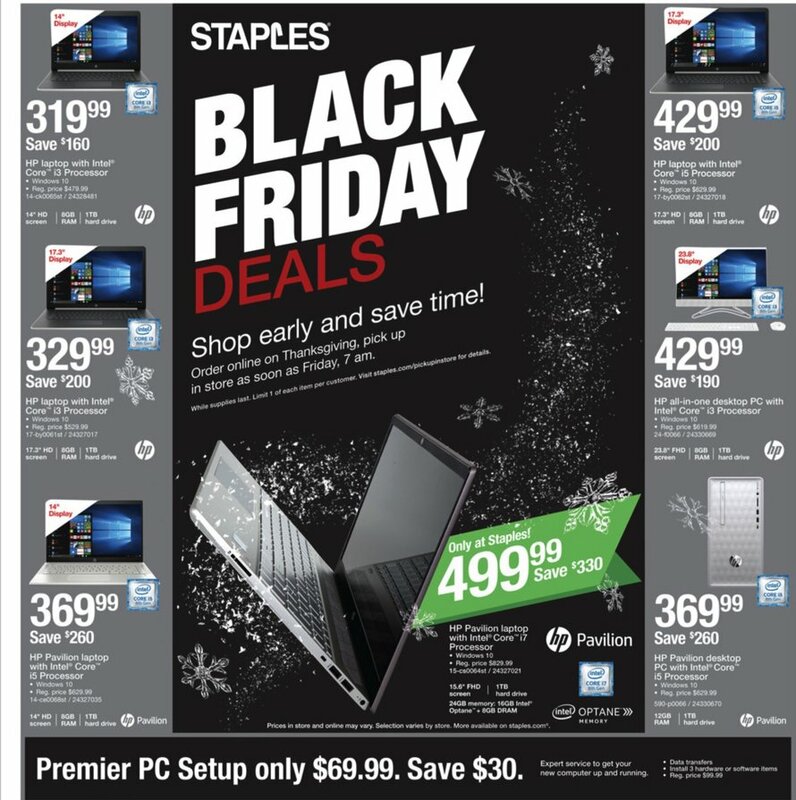 Staples’ Black Friday sale is a chance to save big on desk and office products. For example, you can score deals on a new desk chair. Get ready for 2019 with calendars and planners. Upgrade your tech gear with a new computer or printer. Save big on digital storage with discounts on USB thumb drives and external hard drives. Stores will be closed on Thanksgiving and open on Black Friday at 7am. On Thanksgiving, sale prices go live online, and you can pick up your purchases in a store anytime on Friday.